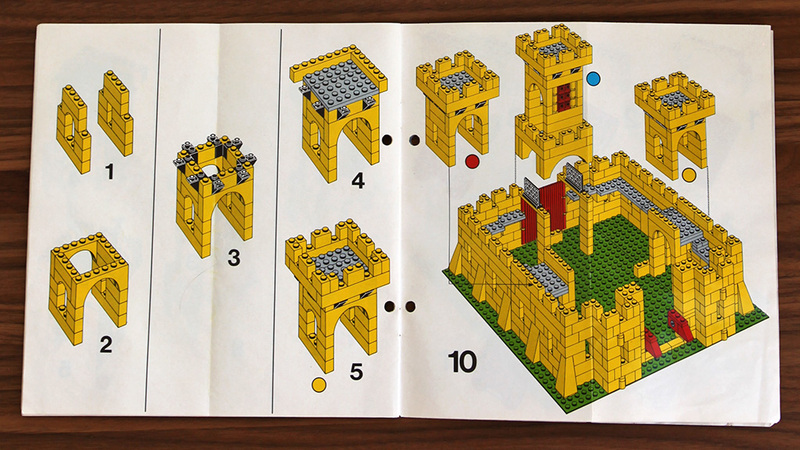 In the history of castle LEGO, there have been roughly two different castle wall building styles: first the brick-built walls in the promotional 00-1 Weetabix Castle (1970) and the yellow 375 Castle (1978), and second, a few different element-walls from the 6080 King’s Castle (1984) onwards. Similar development happened also in LEGO Town (now City), classic brick-built designs have often been replaced by larger element-built structures, expanding size, but also loosing detail – and arguably fun – in the process. Prior to 1984, the (very) few classic castle sets were built from regular bricks and bars in bright colors, with the token arched brick thrown in for good measure. Since 1984, most LEGO castles have been built using mainly 2x5x6 or 1x4x5 wall elements or other special wall elements, usually in grey or black and with molded windows, as well as some regular bricks as “glue”. These elements allowed building larger castles easier and faster, while keeping the price reasonable – not unlike element building in real life. Indeed, the 6080 King’s Castle I’m currently building introduced the 2x5x6 LEGO castle wall piece and contains quite a few of them. Since 1984 the wall elements have changed and expanded a little over the various castle LEGO iterations, but the basic premise is still similar in the 2010 LEGO Kingdoms theme. 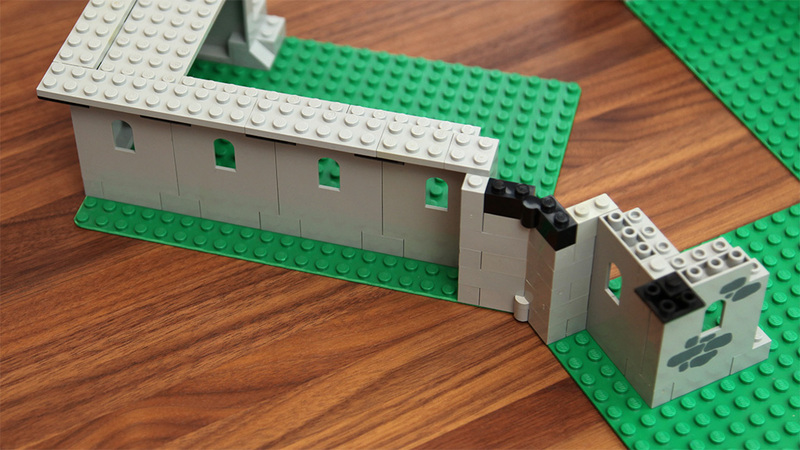 To see the difference between the old 1970s brick-built walls and the modern 1x4x5 LEGO castle wall elements, check out my picture comparison between 1978 and 2010 building instructions. But the year 2012 changes this, just like it changed the LEGO horse. 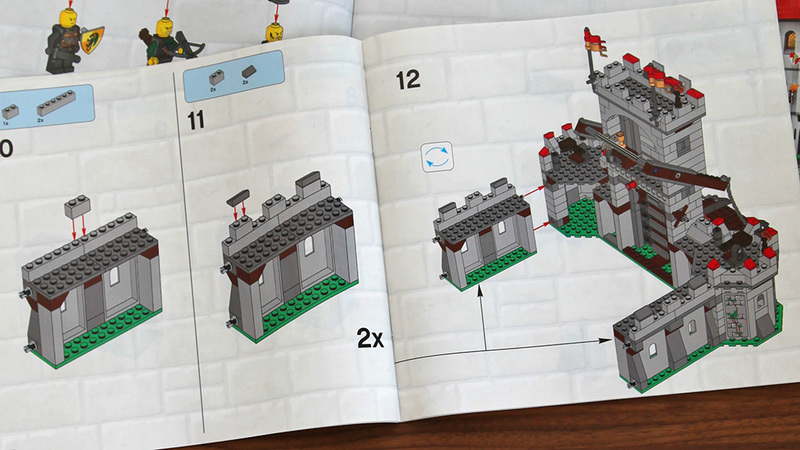 Starting with 10223 Kingdoms Joust, a third chapter is added to the LEGO castle wall building history. The new LEGO castles are once again brick-built and this time with detail not seen in those classic castles. 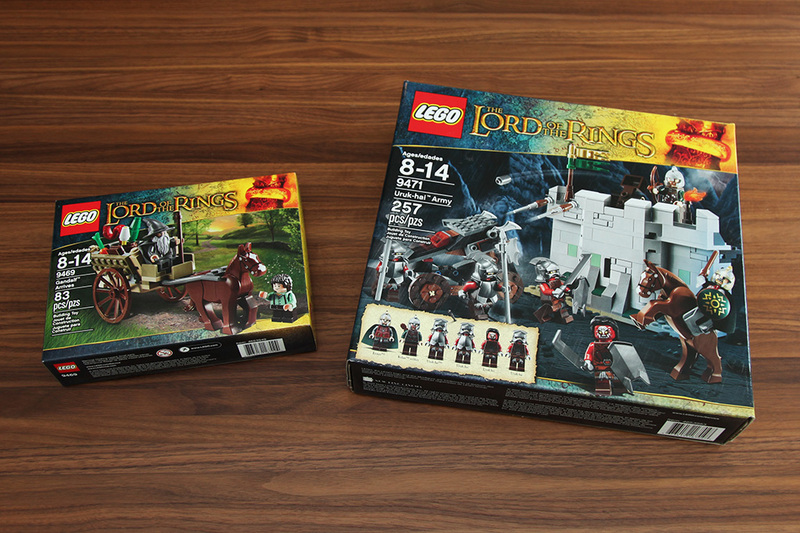 This new style really comes to its own in the new LEGO Lord of the Rings series, which is replacing LEGO Kingdoms this spring/summer, particularly in the two Helm’s Deep sets: 9474 The Battle of Helm’s Deep and 9471 Uruk-hai Army. Over the next couple of days I will be taking a closer look at 9471 Uruk-hai Army (on the right in the picture below) and the new castle walls.